To submit an application for cadet membership, visit the Online Cadet Membership Application page. Youth will need a parent or guardian at their side as they complete the online form and make payment via credit card. The squadron commander (or designee) may approve your application after you participate in your third squadron meeting. 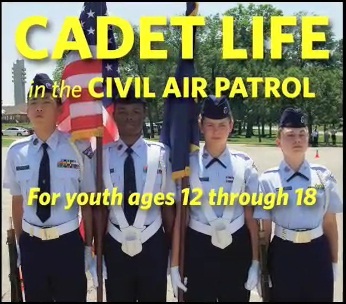 Click here to watch a video on Cadet Life.